As you stroll through Chinatown’s grand gates on Newport Place, you can’t miss Wan Chai Corner’s bright red exterior on the cusp of Gerrard Street. With a cheery yellow, no-frills interior, Wan Chai Corner presents excellent affordable dining in laid-back surroundings. It’s speciality? Devastatingly good daytime dim sum. 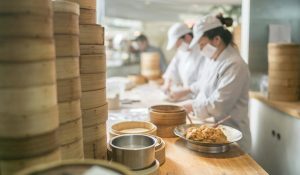 Taking its name from Hong Kong’s busy shopping district, the buzzy 4-floor restaurant is loved for its inexpensive dumplings served between 12pm – 5pm. So popular in fact, you’ll often find queues of theatre-goers and locals snaking outside! Let’s get down to the dim sum. 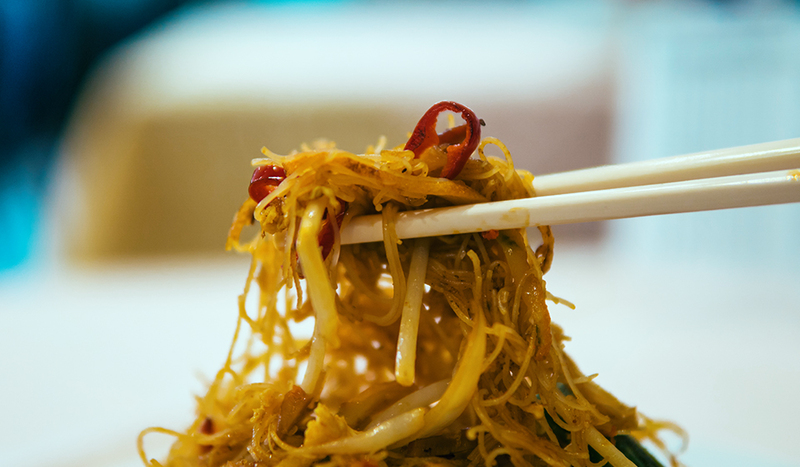 Classically Cantonese, there’s myriad choices. Steamed or fried? Seafood or meat? Sweet or savoury? 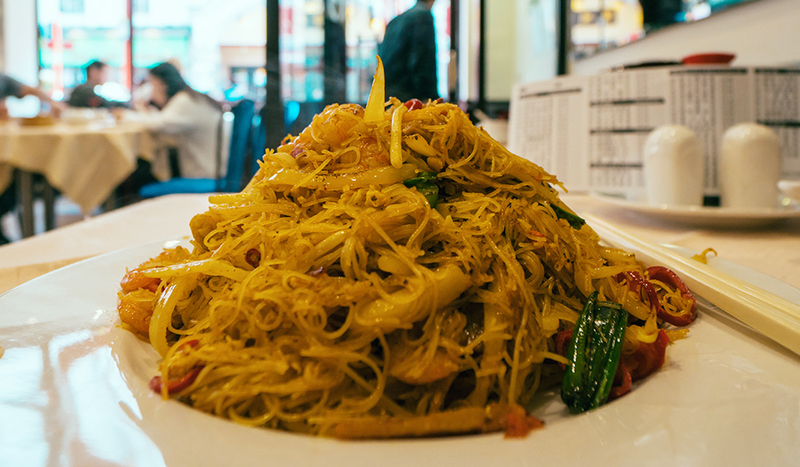 You name it, Wan Chai Corner have it. 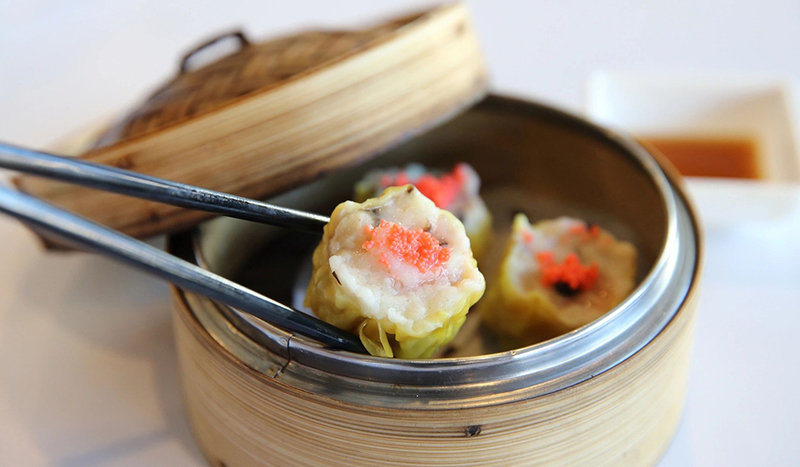 There’s neatly stuffed prawn and chive dumplings with fine, translucent skins. There’s cuddly, cloud-like barbecued roast pork buns. Wan Chai Corner also serve a super selection of cheung fun; Hong Kong rice noodle rolls encasing tempting fillings like scallops, beef or crispy bean curd. Dim sum’s not all that’s on the menu here. 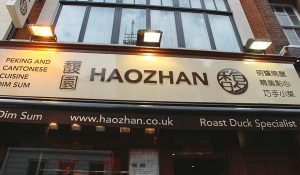 Expect wall-to-wall crowd-pleasing dishes like crispy chilli beef, fried chicken with ginger and spring onions or steaming hot bowls of hot pot. 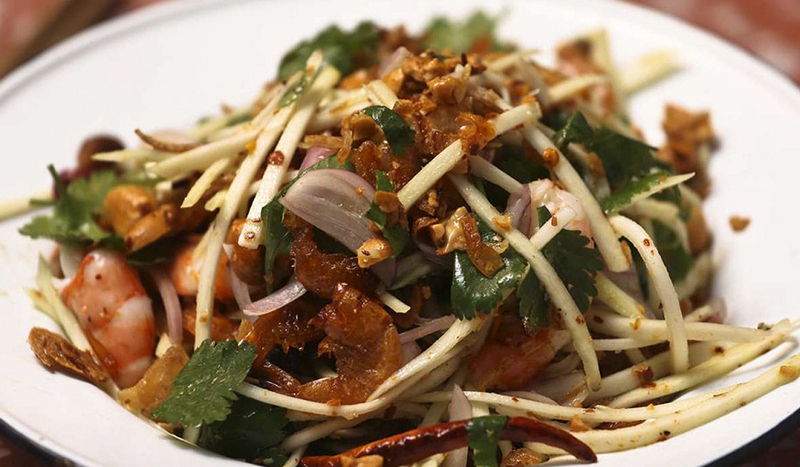 A must try is their chef’s special, Fukien-style fried rice with minced seafood. 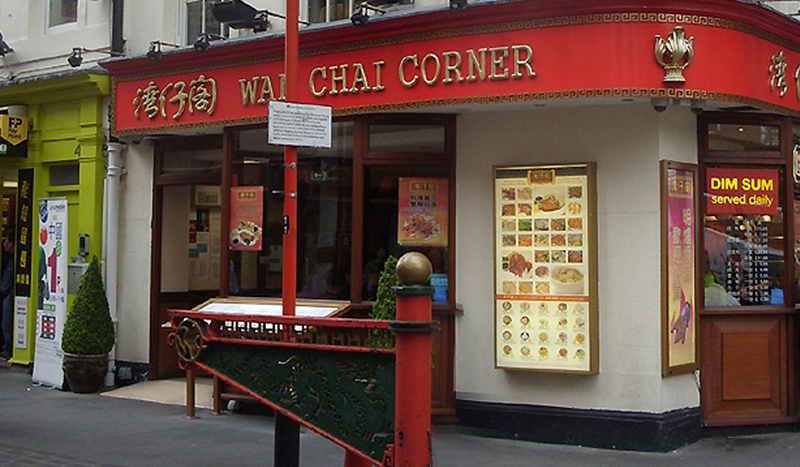 Next time you’re passing through Chinatown London look for the vibrant red eatery and make a dim sum pit stop at Wan Chai Corner.